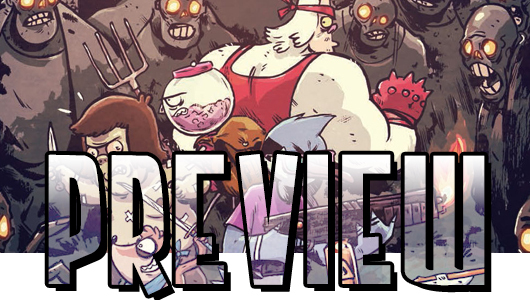 The boys at the park are back at it again in Regular Show #10, the KaBOOM! Studios series based on the hit Cartoon Network show, and we have an exclusive preview of the issue that you can check out there below. In this preview, we see Rigby taking on Muscle Man in an epic game of pogs, which falls right in line with Regular Shows love of throwback references. You can see how artist Allison Strejlau captures the look and feel of the show.